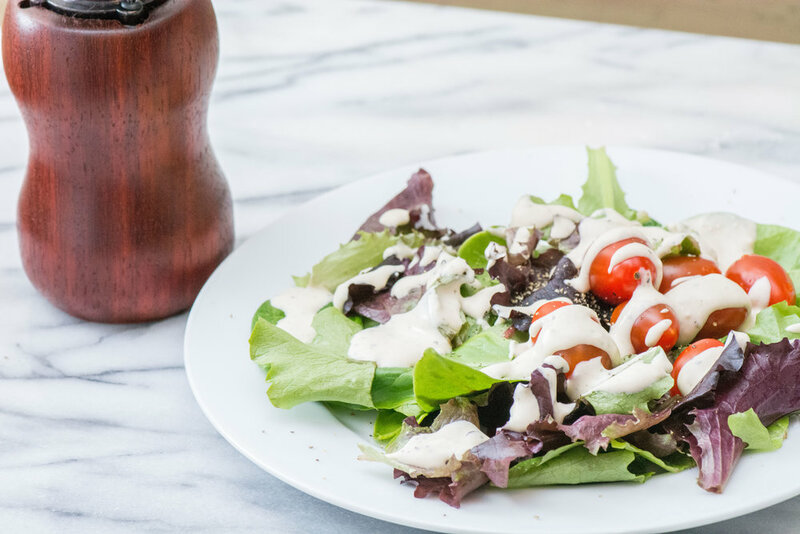 This dressing came about when I wanted to make something a little jazzier than Ranch Dressing, but hate the fact that Caesar Dressing calls for anchovies. I don't mind anchovies in an already made Caesar dressing, but I just can't make it at home like that, you know?! Anyways, if you like them separately, you'll love them together! Serve over a bed of lettuce!